Ships tomorrow if you order in the next 23 hours 48 minutes. If you've ever experience heartburn or indigestion--and most of us have--you know how uncomfortable and inconvenient it can be. 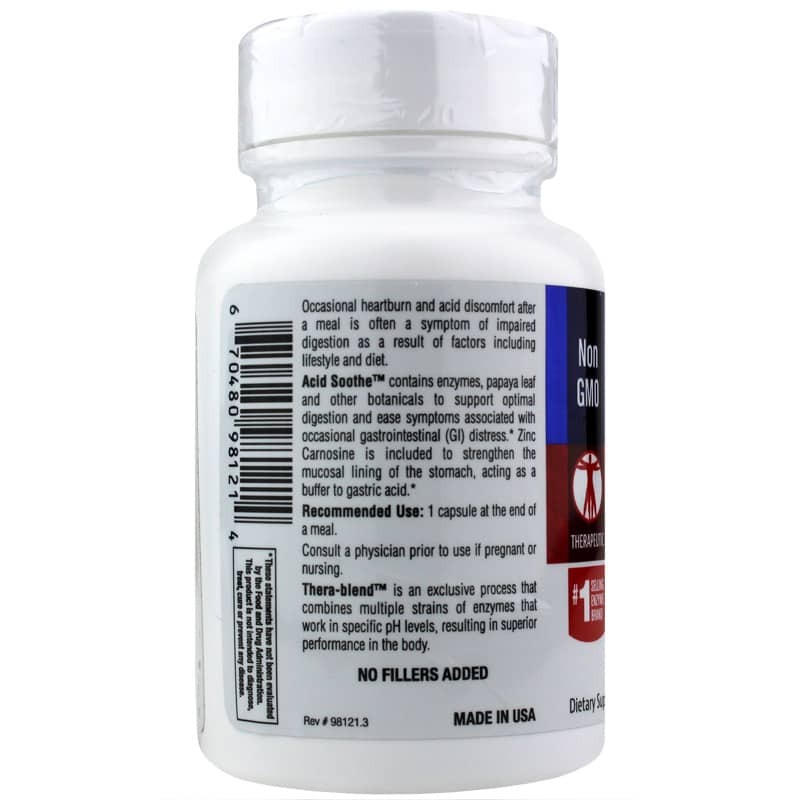 If you're not a fan of the popular relief methods, Enzymedica offers an all-natural solution to heart burn relief. 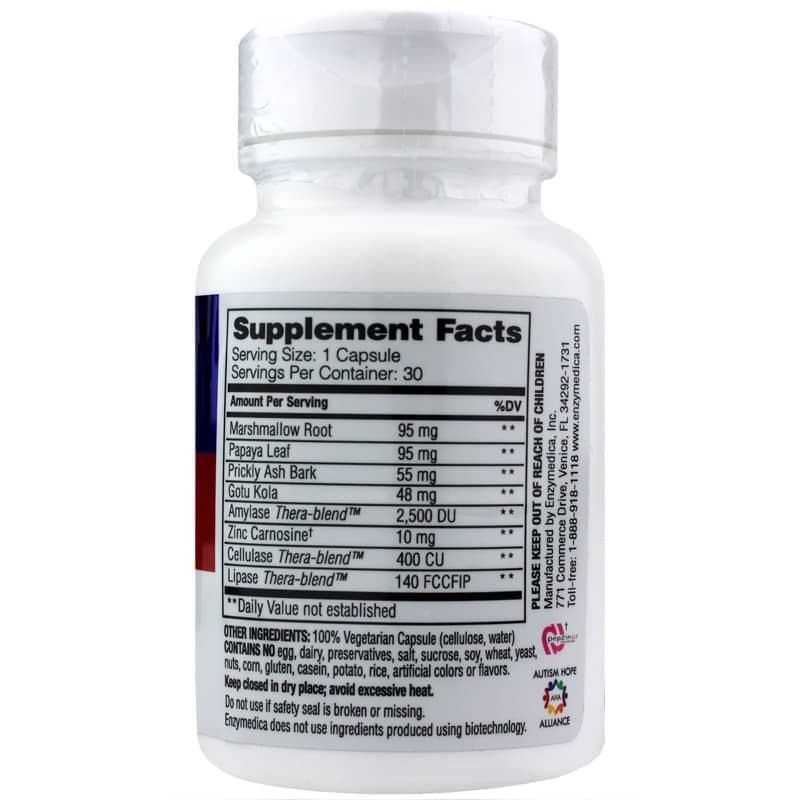 Acid Soothe is formulated with nutrients and pure plant enzymes to provide optimal relief from gastrointestinal discomfort. 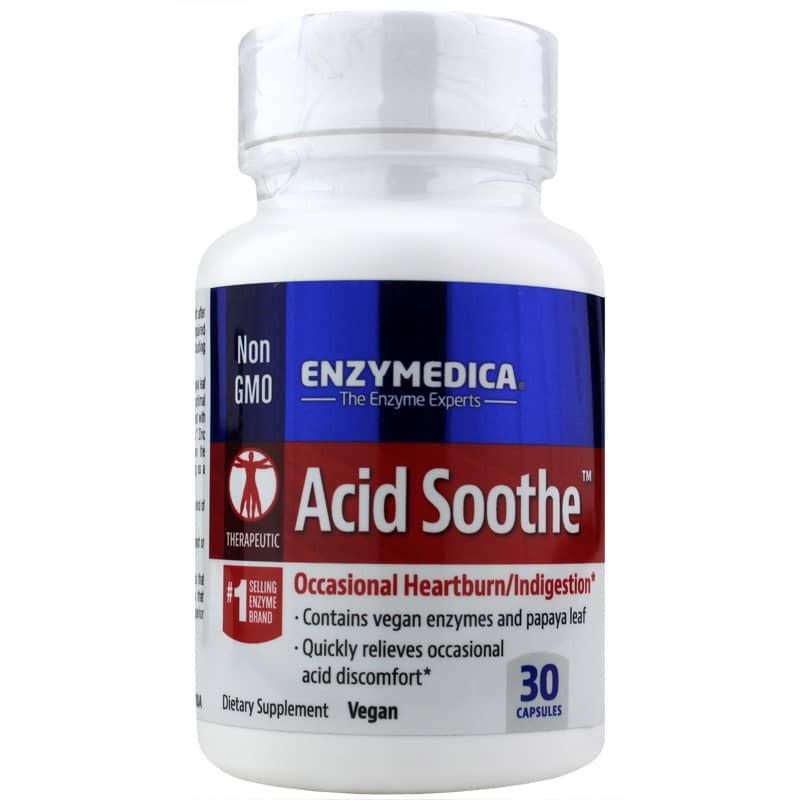 Just 1 capsule of Enzymedica's Acid Soothe at the end of a meal may help you avoid the unpleasantness of heartburn and other digestive discomfort. Relieve heart burn and indigestion the natural way. Choose Acid Soothe from Enzymedica today for a nutrient-packed, plant enzyme-based way to a happier, healthier you. Contains NO: egg, dairy, preservatives, salt, sucrose, soy, wheat, yeast, nuts, corn, gluten, casein, potato, rice, artificial colors or flavors. This product contain(s) no fillers. Adults: Take 1 capsule at the end of a meal. Acid Soothe is the best option I have ever used! I have been using this product for years. Best natural product for occasional heartburn. Always find customer service to be kind and helpful.